UNESCO-UNEVOC undertakes its activities through a worldwide network of UNEVOC Centres in more than 165 countries. The UNEVOC Network is the only network of TVET institutions with a global outreach. 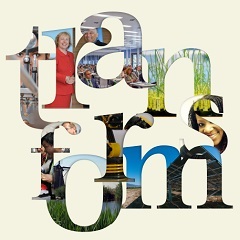 It links and fosters interaction and learning among diverse institutions of TVET stakeholders around the world. In the area of capacity development, UNESCO-UNEVOC conducts training, consultations and conferences in the different areas of TVET and advocates for global TVET development. UNEVOC’s capacity development programmes take place at different levels and through regional and international cooperation, in close collaboration with the UNEVOC Network members. UNESCO-UNEVOC facilitates knowledge sharing through the publishing of TVET related research and its various online communities, including the TVeT Forum and the UNEVOC Network Portal. 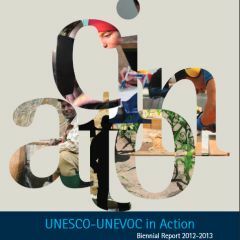 The biennial reports provides a comprehensive overview of the UNESCO-UNEVOC International Centre’s activities in TVET. They indicate how the Centre has helped to improve TVET in UNESCO Member States and serve as an information document for those who are interested in the work of the Centre. The UNEVOC Network is one of UNESCO-UNEVOC’s flagship programmes and links institutions working in the area of TVET throughout the world. The Network is made up of UNEVOC Centres and designated UNESCO Centres of Excellence in TVET. The UNEVOC Centres are established in TVET institutions in UNESCO Member States upon recommendation of the UNESCO-UNEVOC International Centre and endorsement by the UNESCO National Commission. They are focal points in the provision of services and platforms for national, regional and international cooperation in TVET. Established in the 1990s, the UNEVOC Network’s aim is to assist UNESCO Member States develop and strengthen TVET through knowledge sharing, collaboration and joined activities. The UNEVOC Network serves as a unique platform for South-South and North-South-South cooperation as a key delivery modality for advancing TVET. Among the institutions making up the Network of UNEVOC centres are TVET sections within ministries of education; national apex bodies dedicated to TVET policy development; higher Education and training institutions carrying out TVET research or providing courses; and TVET teaching institutions at the secondary or post-secondary school level. The UNEVOC Network provides the Centres with opportunities to collaborate with increased frequency in the TVeT Forum discussions and in face-to-face meetings amongst those with closer interests and concerns. The capacity development programmes of UNESCO-UNEVOC are implemented through a wide range of activities such as the organization of training programmes, workshops and conferences. UNESCO-UNEVOC also commissions research as a mechanism for capturing different perspectives, experiences, and practices to inform decision making, drawing on providing consultancies, as well as offering training possibilities and study tour opportunities. UNESCO-UNEVOC performs a major role in delivering capacity building and necessary support, with the aim of blending upstream policy advice with downstream capacity building to assist its Member States. UNESCO-UNEVOC is concerned with contributing to the international debate on key aspects of education for the world of work. Experience shows that educational ideas and reforms have broad global currency, and that approaches that work in one country or setting may also work elsewhere, if adapted appropriately. Through access to information, countries can learn from each other and weigh up the advantages and disadvantages of other countries' practices and systems. UNESCO-UNEVOC facilitates knowledge sharing and exchange between UNESCO Member States by publishing TVET related research which seeks to create an effective bridge between research, policy and practice. The UNEVOC Publications include discussion papers, case studies, annotated bibliographies, meeting reports and national profiles of TVET. Apart from the regular publication series, UNESCO-UNEVOC collaborates closely with UNESCO in its efforts to publish thematic studies and organize related activities. 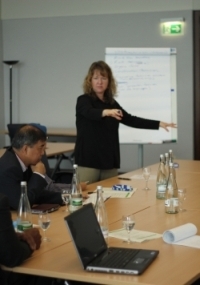 The Knowledge Management Centre is located at the UNESCO-UNEVOC International Centre's premises in Bonn, Germany. 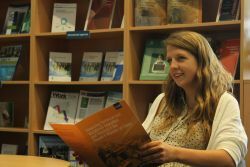 The Centre provides access to all UNEVOC publications and to over 4,000 other TVET related publications, many of which can also be accessed online free of charge through the UNEVOC Online Library. The Knowledge Management Centre is open to the public. If you are interested in visiting us, please contact us at unevoc(at)unesco.org or use the feedback form. UNEVOC’s online services are one of the central means of the Centre to disseminate announcements, materials and references throughout the UNEVOC Network and the wider TVET community worldwide. The Centre offers online tools to enable technical and vocational education and training (TVET) policy makers, researchers and practitioners from around the globe to access valuable information and communicate with each other. Browse and search UNEVOC publications and other relevant TVET publications, many of which are available for download. The TVeT-Forum is a virtual community of TVET practitioners, policy-makers and researchers who share knowledge about different aspects of TVET. 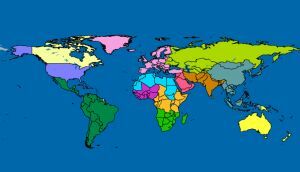 The World TVET Database is an online tool hosted by UNEVOC that provides concise, reliable and up-to-date information on technical and vocational education and training systems in countries worldwide. The aim of the UNEVOC Network portal is to inform about this global community of TVET institutions and to provide a communication platform for UNEVOC Network members. The TVETipedia glossary is a glossary of terms that are commonly used globally in the area of Technical and Vocational Education and Training. The aim of this database is to share knowledge of established innovative practices – 'success stories'- that have proven to be effective and that promote TVET in some profound way.